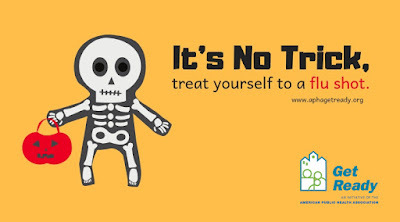 It’s Halloween, and you know what that means: It’s time for costumes, spooky decorations, trick-or-treating and public health preparedness messages! OK, maybe that last one is not so traditional. But it’s a tradition here at the Get Ready campaign. To build on the Halloween fun and promote flu vaccinations, we’ve released two new shareable graphics. They’re perfect for posting on Facebook, Twitter and other social media or emailing to friends and family. You can even print them and hang them on the door to greet trick-or-treaters and their parents. 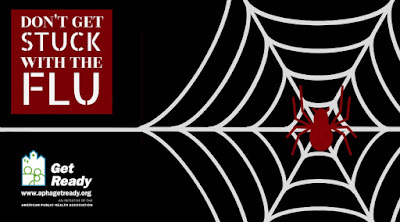 Share our skeleton and spider web graphics now, and check out the other graphics in our Halloween lineup. You’re jarred awake by mechanical horns and flashing strobe lights. People file out of the building to a designated meeting spot, where someone takes a head count. Between school and work, we all know the characteristics of a modern-day fire alarm and how to respond when it goes off: Calmly evacuate the building, leave your personal belongings behind and never re-enter the building until given the thumbs-up from an emergency responder. But fire alarms didn’t always operate like this — step back in time with APHA as we look back on fire safety! Flash back to 1658. As the colony of New Amsterdam began to grow, so did the risk of major fires. Wood buildings and thatched roofs were still somewhat prevalent, so it didn’t take much more than a cooking accident to set your house ablaze. Recognizing this, the governor set up the “Rattle Watch” — literally eight citizens that patrolled the streets at night with wooden rattles, with instructions to sound them off and alert the townspeople if they detected fire. Can you imagine if this was the system in place today? As wild as it seems, that same colony, New Amsterdam, would later be renamed New York. America’s early fire alarms, the Rattle Watch, are at least partially to thank for the sprawling metropolis of Manhattan! When this system became inadequate, cites built bell-towers to sound the alarm, and eventually developed more sophisticated methods. 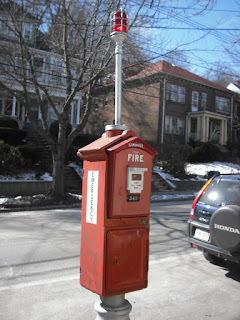 In the 1850s, Boston installed the first telegraph-based alarm system that connected government buildings, churches and schools to the fire department. An automated version of this followed in the 1890s. By the early-mid 1900s, scientists and engineers were patenting heat sensors and smoke detectors, the main components of the modern fire alarm. In 1980s, the first legislation requiring smoke detectors in homes was passed and implemented. Know the fire exits, and discuss an evacuation plan. Have a designated meeting spot! If you know that someone is still inside the building, tell a first responder. Never re-enter the building until you’re told it’s safe. Let’s be thankful that our alarms run on lithium batteries, and not tired people walking around with rattles! Imagine you’re going to work like any other day. All of a sudden the ground starts to shake. The buildings around you start to sway. And you realize what is happening: earthquake! An earthquake is a type of natural disaster caused by the shifting of underground rock. It cannot be predicted, and can cause a little or a lot of damage in just a few seconds. For a brief look at the destructive power of quakes, let’s rewind to 1960 in Chile, when the worst recorded earthquake in history occurred. On Saturday, May 21, 1960, Chileans were preparing for the traditional commemoration of the Battle of Iquique, a naval battle against Peru back in the 19th century. Suddenly around 6 a.m., the earth began to rapidly shake in the town of Concepción. After just a few minutes, 125 people had died from the 8.3 magnitude earthquake. A third of the city was ruined, and as emergency responders tried to help, the massive aftershocks of the earthquake began, the strongest having a magnitude of 7.9 the next day. But the worst was yet to come. Just minutes later, the next aftershock resulted in two separate 8.6 magnitude events. This triggered a massive tsunami washing away villages and resulting in landslides that completely destroyed towns. The earthquake in Chile was calculated with a moment magnitude of 9.5, making it the largest earthquake ever documented. In all, more than 1,500 people perished, thousands more were injured and millions were left homeless. Today, Chile has a national strategy for preparing for earthquakes. The nation has an advanced alert system that can inform citizens through television, radio, email, phones and digital roadside billboards. They even have evacuation routes marked to help citizens if one strikes. Chile and other places prone to earthquakes have taken huge steps to prepare and respond. Japan, for example, has reconstructed buildings according to seismic calculations and installed sensors that monitor seismic activity 24/7. In Indonesia, educating the public about basic survival and emergency response has helped them be better prepared for when disaster strikes. • Have an emergency plan and a place to meet up with your family. • Have an emergency stockpile and first-aid kit. • If you’re inside, drop to the ground, cover yourself with something sturdy like a piece of furniture, and hold on until the earthquake ends. • After the earthquake, double-check that buildings are safe to enter and listen to the news for updates. We’ve come far in how we deal with earthquakes and although the earth might shake sometimes, let’s do our part to help ensure history doesn’t repeat itself. As U.S. droughts and heat reach their highest level in years in many parts of the country, we’re also seeing more of another serious threat: wildfires. California is facing one of its worst wildfire seasons, with thousands of buildings destroyed and about a dozen deaths. But it’s not just California that’s suffering. During the first six months of 2018 alone, federal officials counted almost 38,000 fires that burned 4.8 million acres of land. And with the changing U.S. climate, wildfires are expected to worsen. A recent study shows that by 2100, deaths from wildfire smoke could double. Most wildfires are caused by humans. So preventing them is key, no matter where you live. If you ever light a fire or match, always make sure that they are completely extinguished. 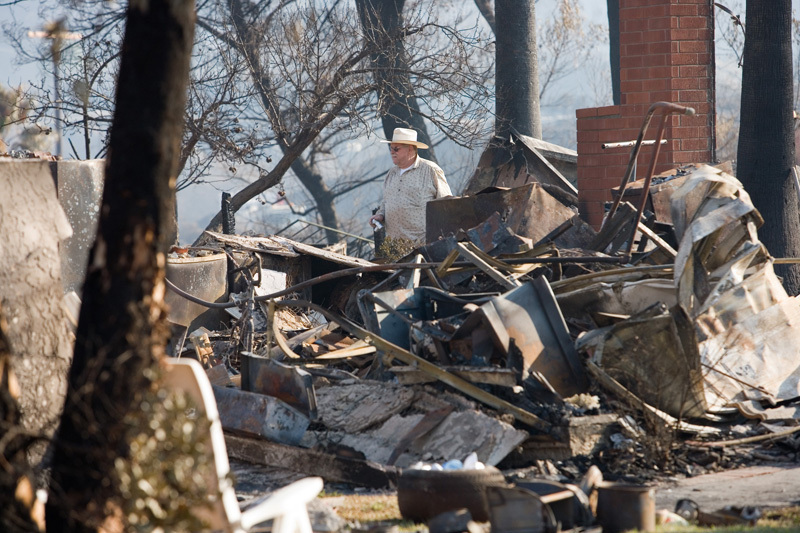 Keep water nearby if burning debris, fireworks or anything flammable. • Know your evacuation route. Include a meeting place and a contact person. Pay attention to evacuation orders and never hesitate if told to leave. • Put together an evacuation kit that you can take with you at a moment’s notice. Make sure it includes a battery-operated radio, flashlight, bottled water, first-aid kit, cellphone chargers, important documents and medications. • If you’re in a car and see a wildfire, stay in your car. Don’t try to outrun the fire on foot. Roll up your car windows and close the vents. Drive slowly and keep your headlights on. If you have to stop, park away from heavy brush and vegetation. For more tips, see our Get Ready fact sheet. Stay safe and informed about wildfires and remember that the safest wildfire is one that never starts. Last season, more than 80,000 Americans died of the flu, according to the Centers for Disease Control and Prevention. It’s the highest number in at least four decades. And, unfortunately, 180 of those deaths were children. Having the flu is terrible for anyone. 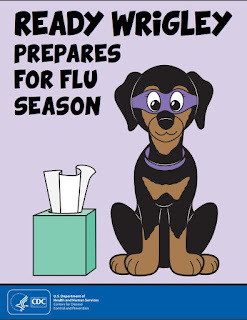 But for kids under age 5, and especially those under age 2, flu can be really dangerous. They can get pneumonia, dehydration and ear infections, and if they have asthma or other health conditions, they could be at greater risk. But it’s not just young kids that are a concern. Even older, healthy children can die suddenly of flu. Eighty percent of the kids who died last season from the flu weren’t vaccinated. If you’re a parent or caregiver — or anyone who loves children — hearing about this can be upsetting. But living through it is even worse. Here’s what it boils down to: Getting a flu shot is easy. It can save your child’s life. Now is the time to get one. Everyone 6 months and older is recommended to get their flu shot every year. It’s important that you get one too. That way you can help protect both yourself and people who can’t be vaccinated, including young children. 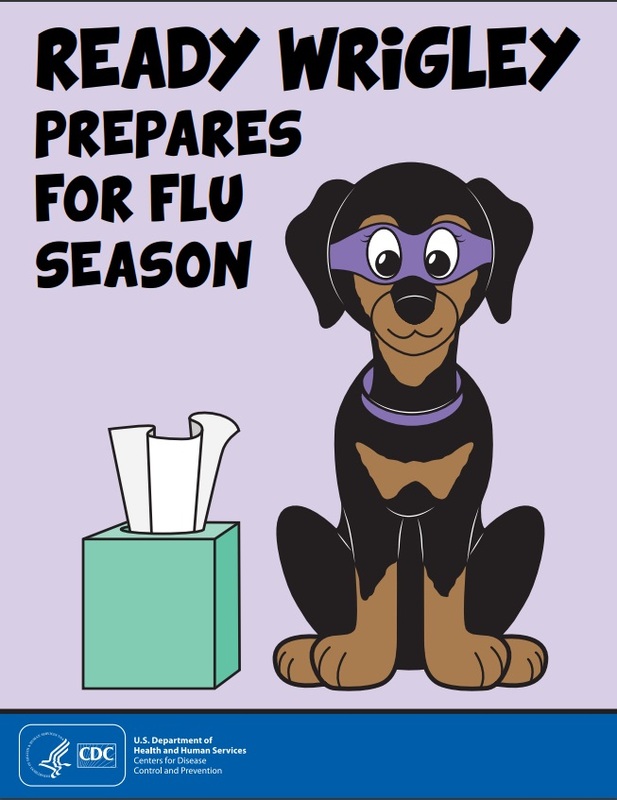 For more info on flu and kids, including questions on vaccines, see CDC’s website. And check out this fun Ready Wrigley book for games, coloring pages and more for your child.